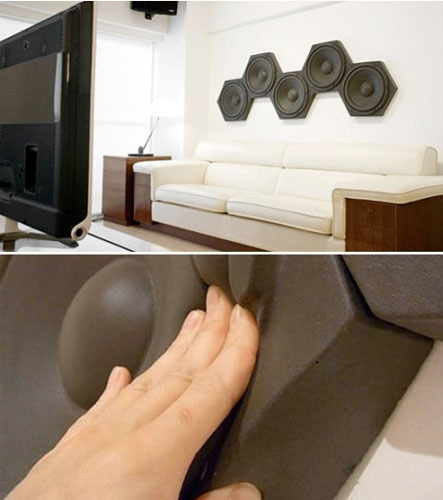 These appear to be massive thumping speakers, when in reality they are much different. Instead of being the source of all of that noise, they’re actually what keeps it controlled. Everyone enjoys the occasional loud night, but if you live in an apartment or duplex you usually don’t get to have those nights. That is unless you want your neighbor pounding on your walls every two minutes and finally having the cops show up on your doorstep after you’ve refused to turn it down. If you want to avoid those sorts of troubles, I’d suggest picking these up. You can purchase these in pieces and create your own pattern. That also means you can use as much or as little as you think you’ll require. If the walls are just a little thin and you like your TV just a little loud you won’t need near as many as someone who just prefers throwing keggers every single Friday. You can purchase one of the Typhonics SP Tiles for $54 a piece. Now I know what to give my neighbor as a Christmas present lol!